This year’s Women’s Day post is dedicated to India. It’s going to be a bit different as well. We’re going to honor two men who’ve meant a lot for the advancement of women in India. Why men? Because we are of the opinion that what benefits women benefits men as well, and that the struggle for women’s rights can only be succesful if everyone is committed to it. 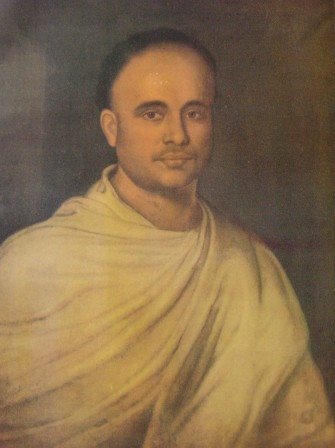 Vidyasagar championed the uplift of the status of women in India, particularly in his native place Bengal. Unlike some other reformers who sought to set up alternative societies or systems, he sought, however, to transform orthodox Hindu society “from within”. With valuable moral support from people like Akshay Kumar Dutta, Vidyasagar introduced the practice of widow remarriages to mainstream Hindu society. In earlier times, remarriages of widows would occur sporadically only among progressive members of the Brahmo Samaj. The prevailing deplorable custom of Kulin Brahmin polygamy allowed elderly men — sometimes on their deathbeds — to marry teenage or even prepubescent girls, supposedly to spare their parents the shame of having an unmarried girl attain puberty in their house. After such marriages, these girls would usually be left behind in their parental homes, where they might be cruelly subjected to orthodox rituals, especially if they were subsequently widowed. These included a semi starvation, hard domestic labour, and close restriction on their freedom to leave the house or be seen by strangers. Unable to tolerate the ill treatment, many of these girls would run away and turn to prostitution to support themselves. Ironically, the economic prosperity and lavish lifestyles of the city made it possible for many of them to have quite successful careers once they had stepped out of the sanction of society and into the demi-monde. In 1853 it was estimated that Calcutta had a population of 12,718 prostitutes and public women. Vidyasagar took the initiative in proposing and pushing the Widow Remarriage Act XV of 1856 (26 July) in India. He also demonstrated that the system of polygamy without restriction was not sanctioned by the ancient Hindu Shastras. The second man on our list is Arunachalam Muruganantham, a school drop out who realized the greatest problem for poorer Indian women is not having access to sanitary napkins, having to resort to old rags or even sand, frequently with disasterous consequences to their health. Arunachalam was left by his wife and mother who thought he’d gone mad with his quest to create cheap sanitary pads. What he created was a cheap machine that allowed women to create and sell their own sanitary pads, creating job opportunities, allowing girls to go to school in communities where this wasn’t evident. For the full story go to the BBC site.